With outstanding impact and mechanical strength, ABS (Acrylonitrile Butadiene Styrene) is used in a wide range of industries and applications, from automotive to piping. Metal coatings can easily adhere to this material, making it well suited for products such as desktop phones, shower heads, and handles. ABS does not have good chemical resistance, however, and should not be used in applications requiring electrical insulation or UV resistance. Celcon, a common brand name for Acetal, offers excellent surface lubricity, creep resistance (memory), and chemical solvent resistance. 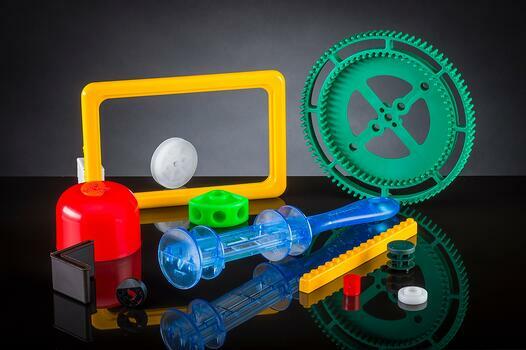 Ideal for food and beverage, mechanical, automotive, and household applications, this is our resin of choice for manufacturing K’NEX toy parts, as well as gears and bearings. It’s also often used in automotive applications and household appliances. It should not be used for applications in high heat environments. 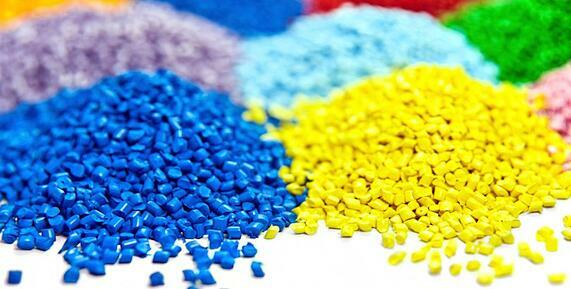 Polypropylene (PP) is known for its flexibility in packaging, fluid management and processing, and household goods, as well as some automotive applications. While polypropylene is flammable and vulnerable to UV radiation, it still offers good resistance to chemical solvents and electricity. Most grades of Polypropylene are flammable and degraded by UV radiation. High Impact Polystyrene (HIPS) provides tough, low-cost performance and highly customizable surfaces: It can be printed, glued, bonded, and decorated easily. This material is especially popular in merchandising applications and displays, printed graphics and prototypes. Although flammable, flame-retardant varieties are available. The most flexible version of polyethylene, LPDE, or Low-Density Polyethylene, offers moisture resistance and high impact strength. LPDE can be found in many consumer goods and housewares, as well as medical products and electronic wiring. It is difficult to bond, however, and should not be used in harsh weather or high-temperature applications. Impact strength — Some applications require more base strength than others, so a resin’s Izod impact strength should be determined from the start. Tensile strength — Ultimate tensile strength, or ultimate strength, measures the resin’s resistance to tension and its ability to withstand a given load without pulling apart. Flexural modulus of elasticity — This refers to the degree to which a material can be bent without damage and still snap back to its original form. Heat deflection — This is especially important for applications that require insulating performance or tolerance for a variety of temperature ranges. Water absorption — This is based on the percentage of liquid taken on by a material after 24 hours of immersion. Choosing the right material from the start will not only save you time, and money but will also ensure optimal performance and manufacturability. Research your options carefully, and consult with an experienced plastic injection molder to help determine the ideal choice. To learn more about resin selection and plastic injection molding in general, check out our free eBook, An Introduction to Plastic Injection Molding, or reach out to the team today.